First Ramadan of a child is a significant milestone. When kids watch their parents and older kids fast , they also get a natural temptation to fast . I remember my Parents who used to say ,”OK, for now you can fast from Asar to Maghrib ” . But definitely that is not a fast at all . 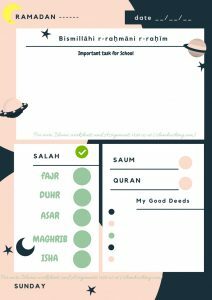 That is just a mini -fast in which Parents allow their young kids who are usually below 7 years to fast for some part of the day .It helps them enjoy the spirit of Ramadan and Prepare them for the full day fast. And when the child finally gets ready for the full day fast it is really a big day for both the child and his Parents . This Book “Ramadan my First fast ” is a story of one such young boy, Ali who observes his first fast .It is a very nice picture book for kids and a must have book for every Parent who want to encourage their kids to fast and learn the tradition and significance of Ramadan. Share this Poster and Inform your friends not to miss it ! “Ramadan My First Fast” is a part of the festival series by Anitha Rathod in which she helps kids discover traditions and customs associated with different festivals and cultures. You can get the kindle ebook from Amazon .The kindle ebook can be downloaded absolutely free on 2nd and 3rd April 2019 from Amazon- Do not miss this limited time Offer .Get the book here .